A good pouch has a thousand and one uses depending on what you choose to fill it with! This Square Pouch is a great addition to any costume, giving you the option to carry dozens of different bobbles and bits at your side without having to show any of them off to the public! This square pouch is made entirely from quality materials, including high quality leather, which make this pouch not only look attractive but also authentic. 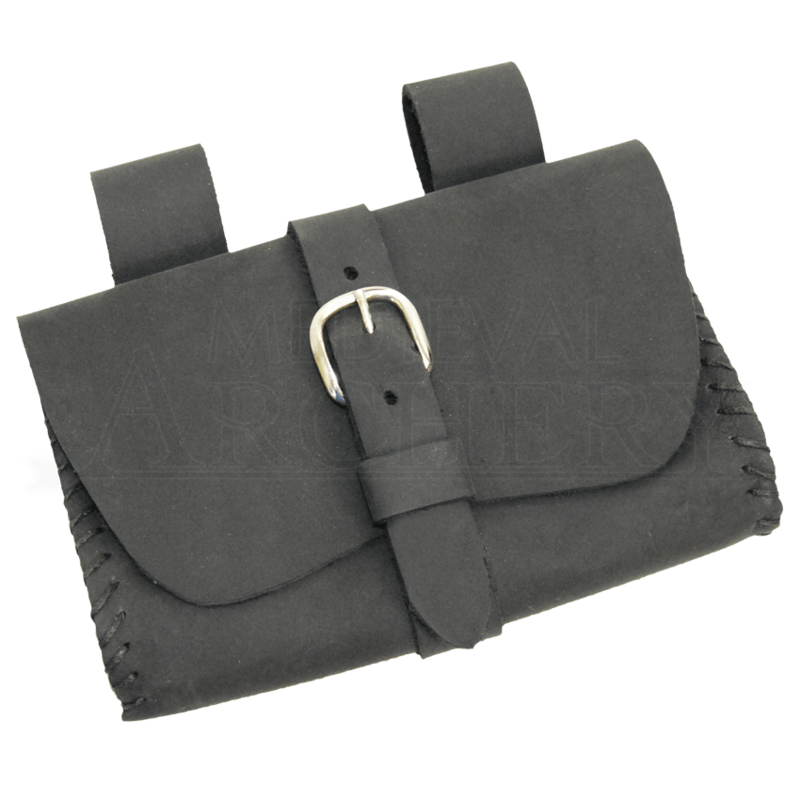 The pouch features stitched sides, as well as a wrapped leather strap with a buckle that keeps the pouch secured closed. Two leather belt straps adorn one side for keeping it perfectly secured to your side at all times, making it perfect for carrying either costume props, like thieves tools, or modern accessories like wallets, phones, car keys, and more. The pouch comes in either black or brown. It measures approximately 5 inches tall and 7 inches wide. Once you slip this Square Pouch onto your belt, you will be ready to go to your favorite event, and you will have the means to keep all your modern and medieval goodies on your person, whether you are going to a LARP with some friends, a Renaissance fair for fun, or a medieval reenactment where modern amenities are strictly taboo.